This summer has been very vibrant for the community of DOKU:TECH. In order to ensure an unforgettable experience for each and all of you, preparations have been initiated ahead of time and everything is being organized in detail. Our cherished speakers have confirmed their participation, so we are in the process of booking their tickets. We have already introduced some of the speakers like Bruce Sterling, Stephan Urbach, Akan Ismaili and Lee Bryant while the rest of them will be presented during the upcoming days. We are thrilled to listen to their presentations, stories and experiences they’ll choose to share with us, with the main focus on one of the concepts OPEN: SECURITY: COMMUNITY: CONTENT. Whereas, DOKU:FEST’s Early Birds have shown to be literally early since all the tickets under this category are already reserved. For those of you who did not manage to reserve a ticket but are still interested, the silver lining is that there are still tickets under General Admission waiting to be ordered. Remember, clock is ticking so we strongly recommend you to get your ticket sooner. Besides talks and discussions, as we have announced earlier DOKU:TECH will also consist of very attractive workshops such as Understanding Metadata and Digital surveillance for the beginners, Cryptoparty (Digital Security & Privacy Workshop), Visualizing Data for Advocacy, Setting up a whistleblowing initiative, Making music with Floppy drives, Game Workshop and many other activities which are on the process of being settled. DOKU:TECH preparations are proceeding seamlessly. We are committed in bringing a very unique 4-day event which will certainly be worth your time! 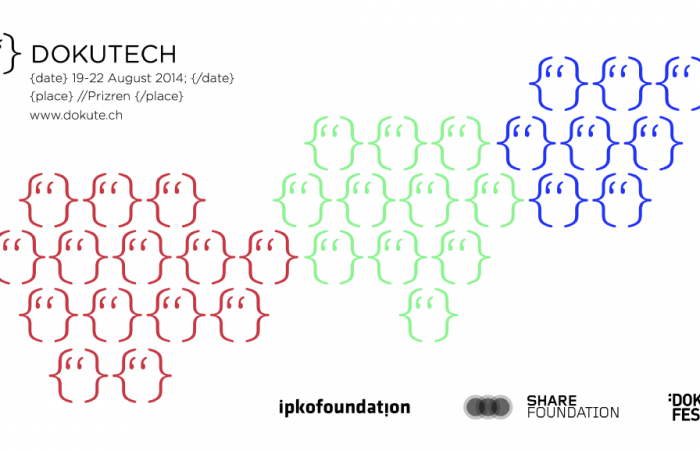 So once again, save your dates and join our DOKU:TECH community. All the roads lead to Prizren, so see you there!